The Turkish army in al-Shahba region of Northern Aleppo has equipped the terrorists with heavy weapons, including M60 tanks. According to Kurdish-affiliated Hawar news, several footage and images have been released by the terrorist groups in different websites which show that they are using the Turkish army’s armored vehicles in Tal Jorji village in al-Bab region. The images show that the terrorists are using M60 tanks. Turkey has deployed a large number of its tanks and armored vehicles in Northern Syria after the start of the Euphrates Shield operation by Ankara. The Turkish forces, backed by US-led coalition aircraft, started the Euphrates Shield military operation in August, claiming that they intend to purge terrorists from Syria’s Northern territories and create security zones for accommodation of refugees. Media activists said earlier this month that the Turkey-backed militants operating in Northern Syria within the framework of the Euphrates Shield operation retreated from 13 strategic villages near al-Bab in Aleppo to open way for the ISIL’s operations. 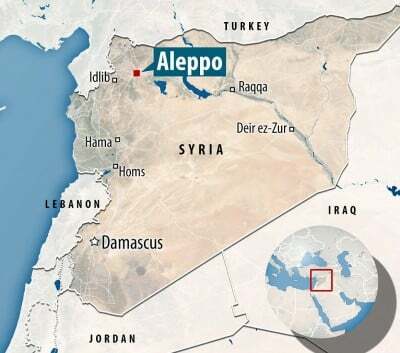 According to the Lebanese al-Safir newspaper, the ISIL occupied Bor’an, al-Wash, Tanouza, Salsana, Job al-Asi, Dawir al-Hawa, Houmad, Salasina, al-Barouza and a number of other villages in a surprise attack on Tuesday following a rapid withdrawal of the Euphrates Shield operation forces. A large number of media activists reported that no real clashes happened between the ISIL and the Turkey-backed militants, and the Euphrates Shield operation forces fled the scene en masse. Hawar news agency accused Turkey of ordering his forces to retreat from the villages in the South of Akhtarin region near al-Bab. The agency said the move by Turkey was part of a joint operational plan with the ISIL against the Kurdish troops in the regions under their control.